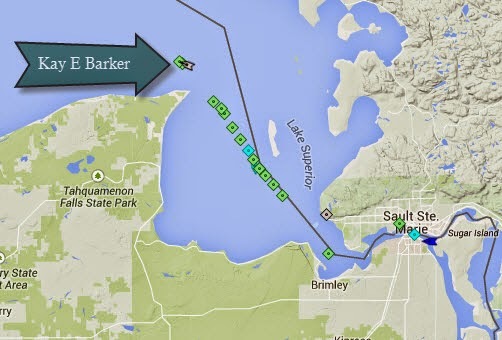 An incredible convoy of boat is being set up in Whitefish Bay to move through the ice pack. 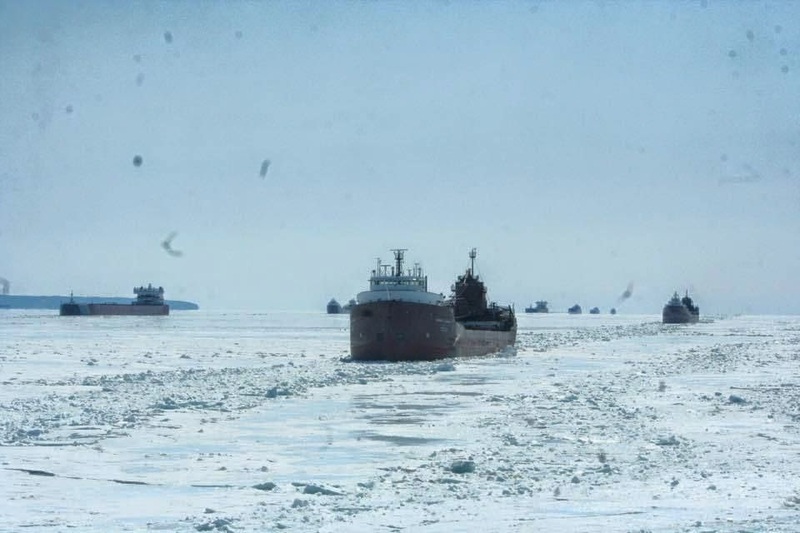 mlive.com reports that Kaye E. Barker punctured her hull in the ice and will transfer cargo to the Lee A. USCG Mackinaw also damaged an azipod. There are some cool pics there too. That's incredible! Thanks for the info. WOW!! Where can you see pics of what is happening there? WHAT AN AMAZING SIGHT!!!! THANK YOU! Thanks for the link. That's amazing to see all those ships stacked up in the ice. 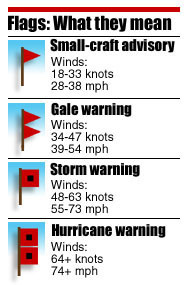 Didn't realize how seriously damaging the ice can be to be these ships. Thank you Dennis, that is a great picture. That must be pretty thick ice up there. Quite a few boats got damaged. Have you noticed that they brought the Pierre Radisson to the situation?